Chinese New Year is just 1 month away. It is the season of family and friends gathering! I always enjoy Chinese New Year. Especially most of us will not be working and finally have a chance to have a proper family or friends gathering. When there is a gathering, FOOD is definitely a MUST! HAHA. Delicious Homecooked Dishes will be a delight. Of course, a lot of us will also like to save all the efforts and enjoy the catch up with family or friends. Catering will be a great option to look at! Which caterer to choose or tired of the usual caterer you go to? 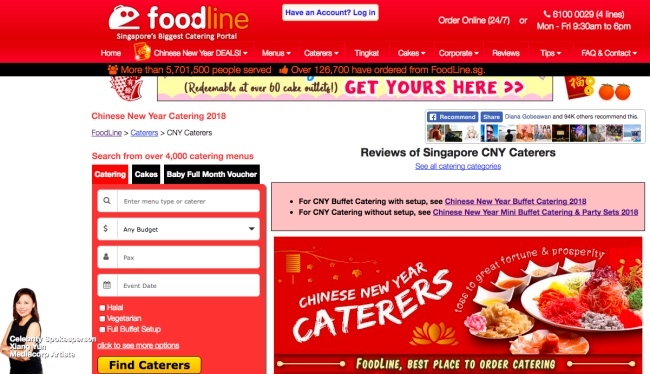 FoodLine is your best friend when searching for caterers! 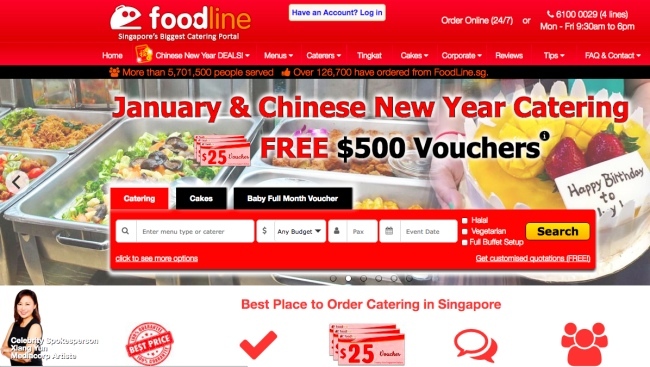 FoodLine is a Singapore Catering Portal. 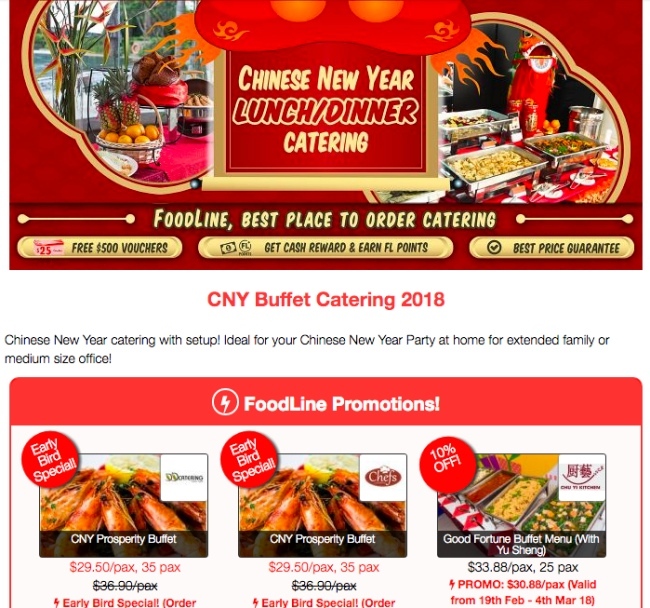 Foodline offers Chinese New Year Catering. It has Chinese New Year menus with lovely full buffet setup. For big gatherings like 20-100 pax, you may like to consider this. This will be great especially for Corporate Chinese New Year celebrations. Often people always feel catering for only big gatherings. It is definitely not true. 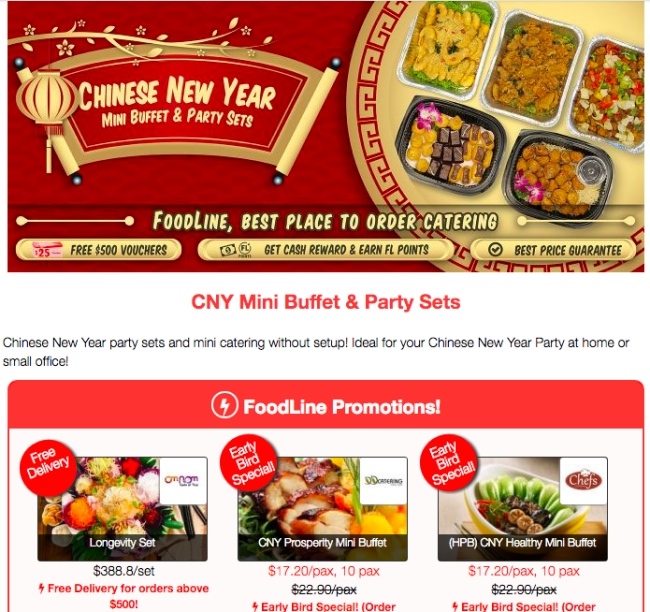 FoodLine also offer Chinese New Year menus for small gatherings like 5-10 pax. Hope you will be able to find a great Chinese New Year Caterer that suits to your preference.